Try to mix online… if you can. What do I mean? If you have an affinity for music, a natural talent, you can be several different things. Like at least a music fan. Or a musician. Or a mixing engineer. Bear in mind though that the latter requires a certain knowledge. On top of just being in intimate love with music. You might decide to try your luck and want to do it yourself. Or you might be a customer who wants to use an online service. In either cases, you need to know the tasks that are part of an engineer’s job. And also the ones that aren’t. Hint: it’s a bit more than just moving faders. Or twisting the EQ knobs like a boss. Splitting/slicing tracks: It’s one of those dirty jobs that needs to be done. 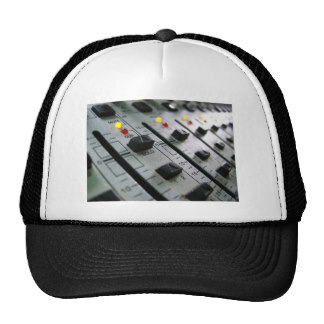 A mixing engineer cannot expect the musician to cut the tracks to the final length. It’s not practical either to do it early on. Think of a noisy, high gain guitar track that requires noise removal treatment. Being able to work with the noisy parts before, after and in-between the notes is a blessing in that case. Resizing tracks: Another one of those boring tasks. The goal of this job is pretty similar to the above one. The engineer does what he needs to do. Then he removes what’s not needed anymore. Doing fade-ins/fade-outs: It takes a bit more creativity to execute tastefully. Most DAWs offer several different fade-in/fade-out curves. The job is to find the ones that are best suited for the track. The sounds need to end where and how you want them to. There are several so called “producers” out there. These are mostly lame, clueless and/or lazy people who outsource most of their material. They put it together from the parts, then label it as their own production. I have met certain ones that required the musician(!) to somehow force the guitar strings to ring for the same exact duration. All that without noticeable decay. With a clean tone. Avoid such n00bs. Adding effects+noise removal: Unless the producer (the real one) requested certain effects to be recorded (“printed”), it’s not the musician’s task to add these. Most experts who engineer music know this. It means it’s the mixing engineer who needs to add these. Reverb, compression, modulation or saturation. Pick the one you need and spice up the raw track. Noise removal has been mentioned above. If you handle audio, you have to fight any disturbing noise that takes away from the music. Sibilance – friend or foe? ← Previous Previous post: Is AlNiCo the superior guitar pickup magnet material?